This species is endemic to the upper río Meta, seen here as it flows through Casanare Department, Colombia. metae: named for its type locality, the Río Meta in Colombia. 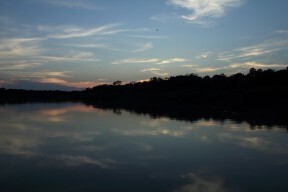 Endemic to the Río Meta, a major tributary of the Río Orinoco in eastern Colombia and western Venezuela. It is known from several tributaries within the upper basin including the ríos Humea, Ocoa, Guatiquía (including its two branches the ríos Negrito and Guayuriba), Manacacias, and Metica (the name given to the upper Río Meta above its confluence with the Río Humea). It appears to be absent from the lower Meta and has not been recorded in Venezuela. Type locality is ‘Barrigona, Rio Meta, Colombia’, corresponding to Puerto Barrigon on the Río Humea. Other décor is largely down to personal choice, but some cover should be provided. 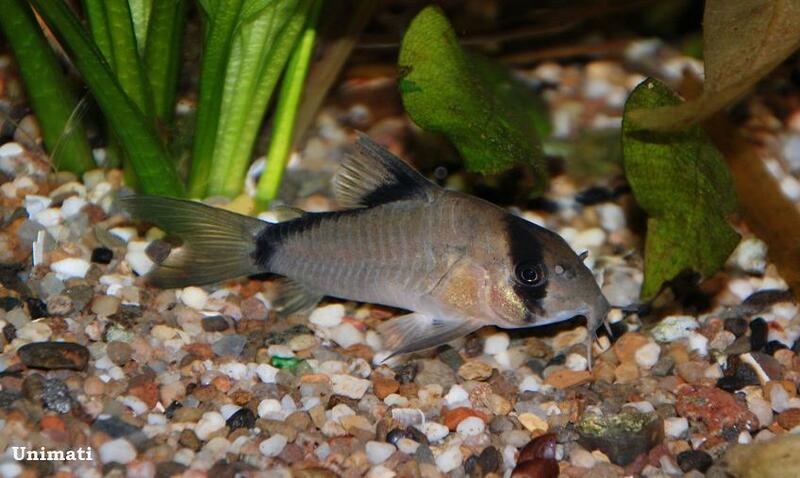 Corydoras spp. are foraging omnivores and will accept most sinking dried foods, as well as small live and frozen varieties such as chironomid larvae (bloodworm), Tubifex, etc. Feeding a varied diet will ensure the fish are in optimum condition. Use a ratio of two males per female if possible. When the females are visibly full of eggs perform a large (50-70%) water change with cooler water, and increase oxygenation and flow in the tank. Repeat this daily until the fish spawn. Eggs are normally deposited on the aquarium glass, but it is recommended to provide alternatives in the form of fine-leaved vegetation or fine spawning mops. They require excellent water quality, but seem less susceptible to ailments when maintained over a thin layer of sand rather than in a bare-bottomed arrangement. This species is also referred to as ‘masked’ or ‘Meta’ cory in the aquarium hobby. It can be distinguished from similar-looking congeners by the form of the oblique dark bar on the posterior portion of the body, which terminates at the caudal-fin base and does not extend onto the fin itself or split into two on the caudal peduncle. There are no additional dark markings on the body. Their taxonomy can be confusing, and numerous undescribed species are also thought to exist. Fish of unconfirmed identification entering the aquarium hobby are typically assigned a ‘C‘ or ‘CW‘ number for purposes of reference and organisation. On new species of fishes from the Rio Meta Basin of eastern Colombia and on albino or blind fishes from near Bogotá.